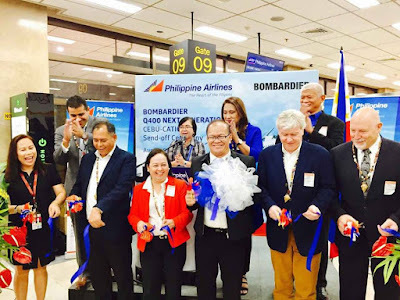 Aviation Updates Philippines - The country's flag carrier Philippine Airlines' (PAL) inaugurated the flight of its brand-new Bombardier Q400 turboprop on the Cebu-Caticlan-Clark route. 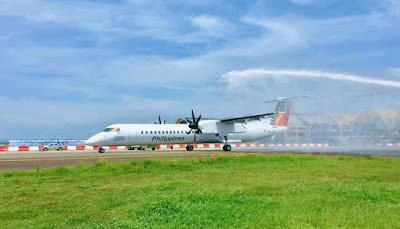 The next-generation, two-class Q400 from the Canada-based Bombardier has a seating capacity of 86, including six Premium Economy seats, and-will be utilized to expand PAL's domestic network using operational hubs in Manila, Cebu, and Clark, PAL said in a statement August 1. The new Bombardier Q400 turboprop is the first of 12 such aircraft PAL is acquiring, the airline said. The newly delivered Q400 is the first of five that the airline will receive before December 2017, with seven more for delivery before end of 2019, it added. By end-2017, PAL will utilize the propeller-driven Q400 and Q300 on seven domestic routes out of Clark and 12 out of Cebu. 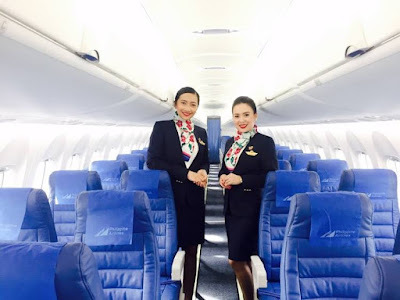 PAL said it is the first airline in the Philippines to use the next-generation Q400 which has larger overhead bins, new seats and LED lighting. It will offer passengers full service even on short flights, it added. PAL flies its fleet of turboprops to 14 destinations across the nation and will soon operate this aircraft in flights to Zamboanga and Jolo.